A live answering service or virtual receptionist will provide your Fort Worth, Texas business with a cost-effective alternative to hiring a full time, front desk employee. Hiring a professional answering service will allow you the opportunity to eliminate the expense of full time salaries and wages. In fact, a professional telephone answering service ensures that your business is available to its clients 24 hours a day, 365 days a week, at the fraction of the cost of a dedicated, full time employee. Some business owners are tempted to let their answering machine or voicemail handle incoming calls when they are busy are unable to get to the phone on time. In many instances, this is where the business loses the sale. Customers prefer to speak to a live person and once they have encountered your voicemail, there is slim chance that they will leave a message or even call back. Losing out on sales translates to a loss for the business too, especially when you eventually find time to return calls to customers who have already taken the business and money elsewhere. With a live answering service, your incoming calls will be answered each and every time and you can rest assured that a live person will deal with their communications. There are no voicemails or even automated selections to be dealt with. This is a great way to provide your clients with the personalized attention that they want and most certainly deserve. Answer calls and record messages. Record orders / process sales requests. Provide customers with details on the business, products and services. When hiring a virtual receptionist from Sunshine Communication Services Inc. in Fort Worth, Texas, your customers won’t even know that they have been assisted with an external service provider. We ensure that our staff members familiarize themselves with your business and its products and services and have a professional approach at all times. We have over 40 years of experience in the industry and are familiar with a variety of applications including brochure fulfillment, employee and credit pre-screening, video sales, appointment and seminar registrations and much more. 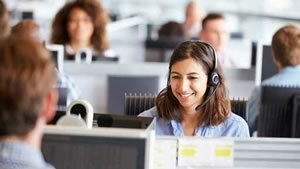 To find out about what our telephone answering service entails, request a free trial. If you would like to learn more about our professional telephone answering service in Fort Worth, Texas, or want to get pricing, contact us at Sunshine Communication Services Inc. via email or telephone today.